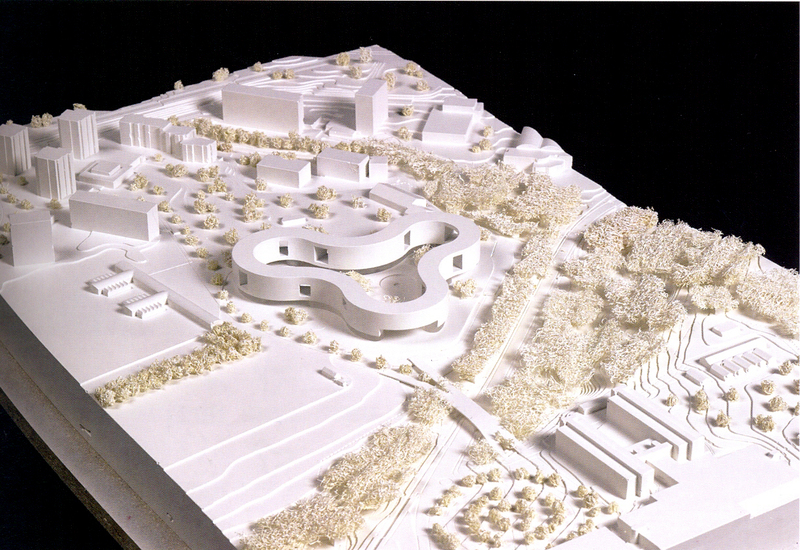 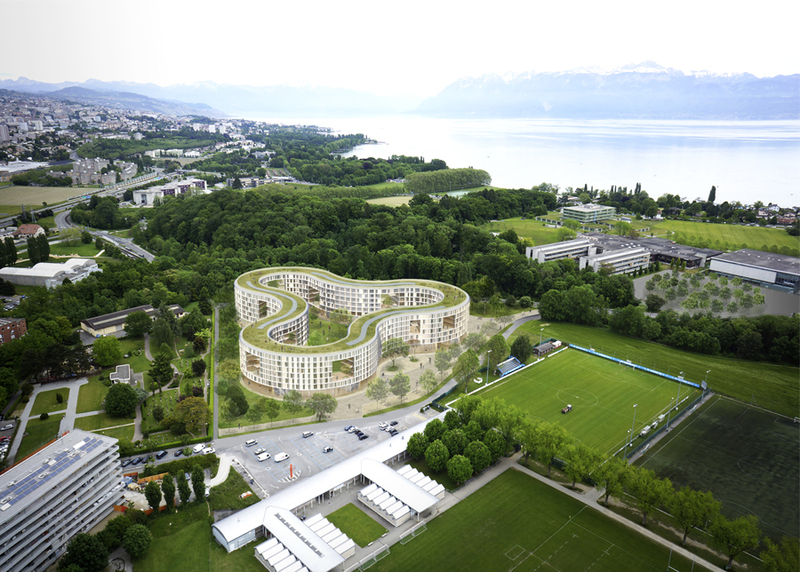 The contest planned a landscape intervention and a building arround the La Pala area on Lausanne University plot, as a pull for the 2020 Youth Olympic Games candidacy. 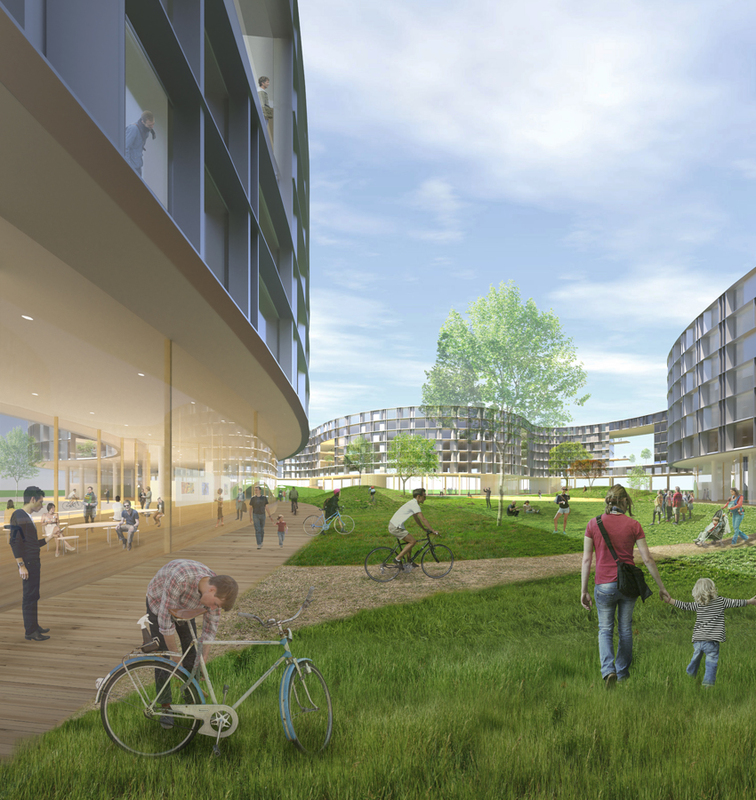 The building must have 1080 students apartments, 75 proffesors apartments, a sports center, kindergarten, shops, retaurants and a cultural forum to be a reference place for meetings and residence inside the University campus. 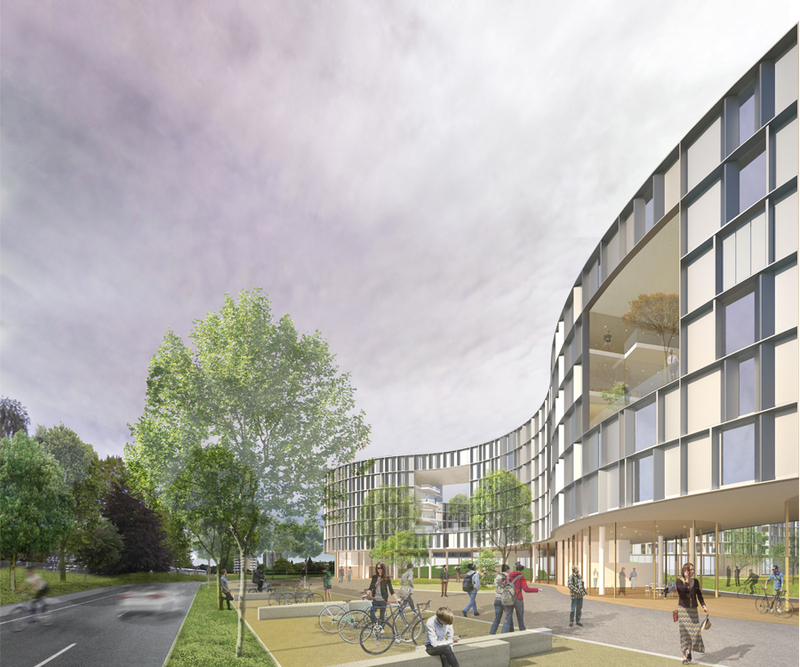 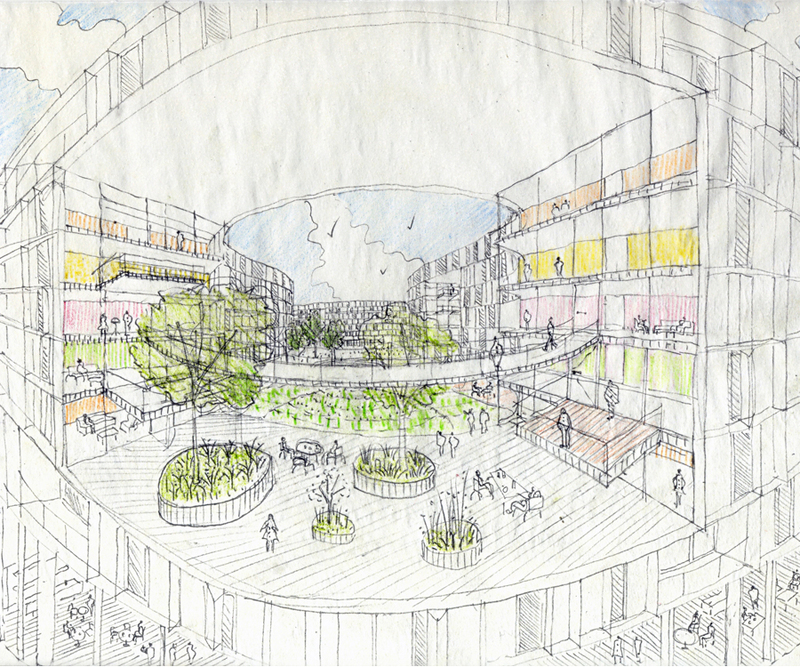 The operations must include a bridge for both pedestrian, bicycles and vehicles, as well as the landscaping and pedestrian connections needed to integrate the new construction on the University campus environment. 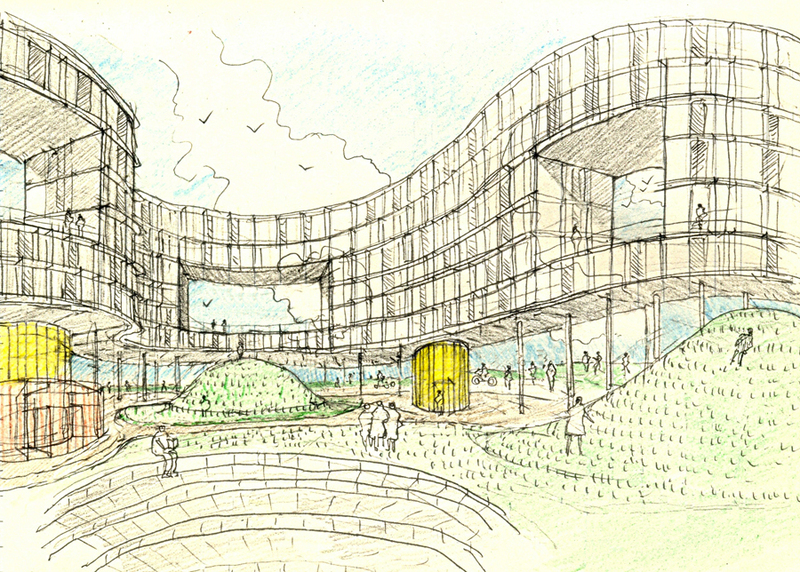 We propose an unitary volume building, with a potent and recognizable geometry that generates a meeting space but at the same time be connected with its surroundings, open at the ground floor and through carefully openings of its borders that allows the near woods views, the access and traffic across the central space os the project. 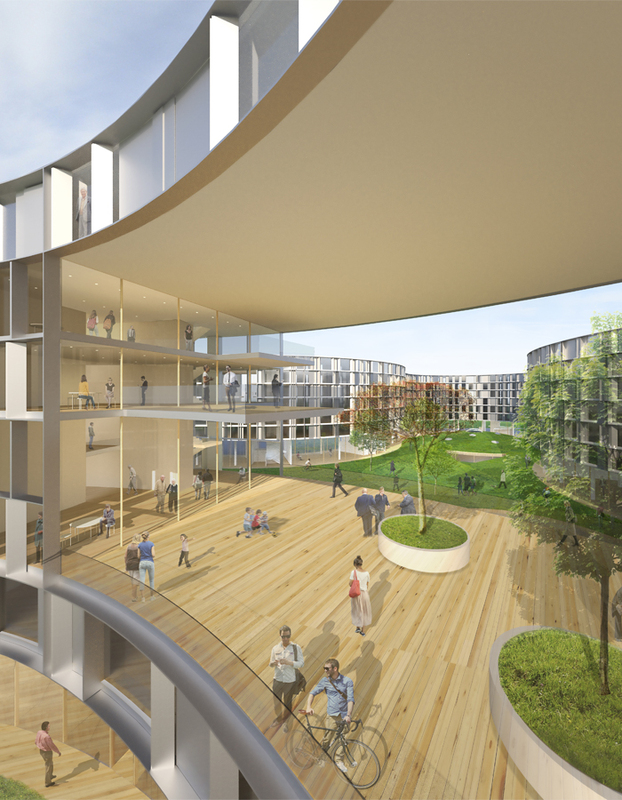 Engineering: BG Ingénieurs Conseils SA.